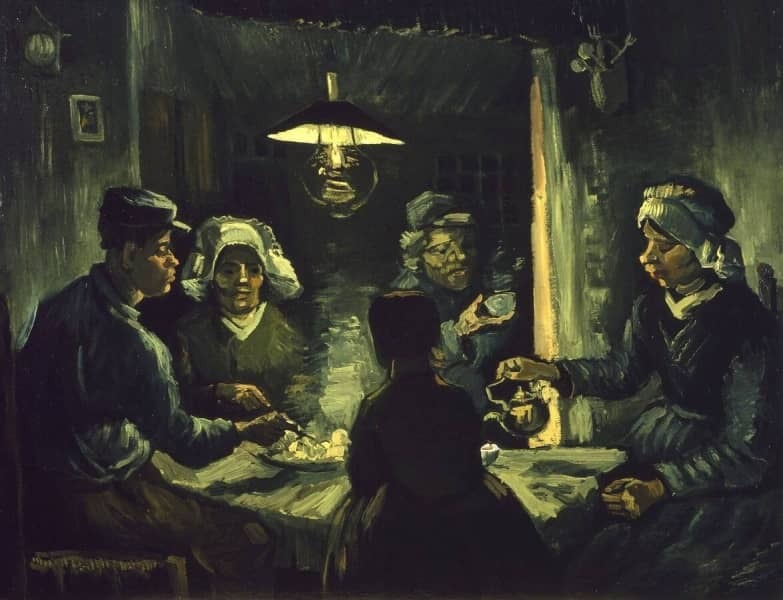 The potato eaters is the most ambitious painting of Van Gogh’s Dutch period. Prior to starting the painting, he makes over a hundred portrait studies of farmworkers, various drawings and two painted studies. 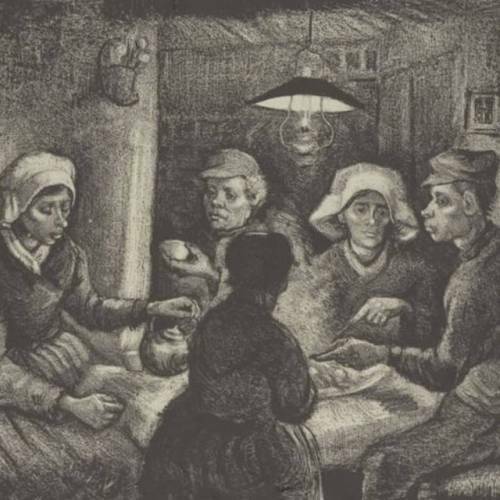 Thus he prepares himself for his first large painting on the theme of peasant life in Brabant, which he regards as a kind of test of his mastery. He wants to prove that he is on his way to becoming an accomplished figure painter. This painting precedes the final version and has virtually the same composition, but the layout is sketchier. Van Gogh makes the drawings and studies at the home of the peasant family De Groot-van Rooij. It is not his intention to make precise portraits of these people. 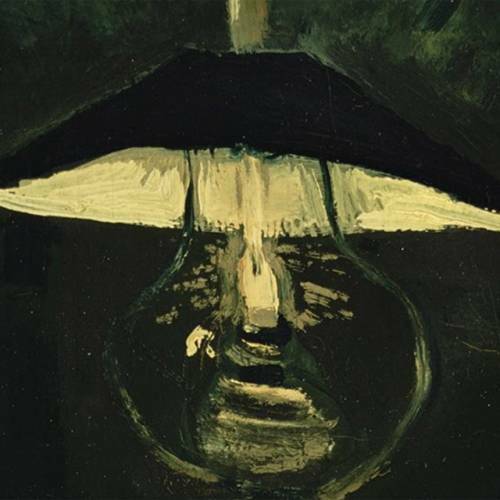 He seeks to depict the atmosphere and the primitive nature of the arduous peasant life. He later writes to Theo: You see, I really have wanted to make it so that people get the idea that these folk, who are eating their potatoes by the light of their little lamp, have tilled the earth themselves with these hands they are putting in the dish, and (…) that they have thus honestly earned their food’. Go to Google Arts and Culture to zoom in to this work. Visit the Timeline to read the background story of this work.